DPM Chine Single Layer Fabric: Bomber jacket. 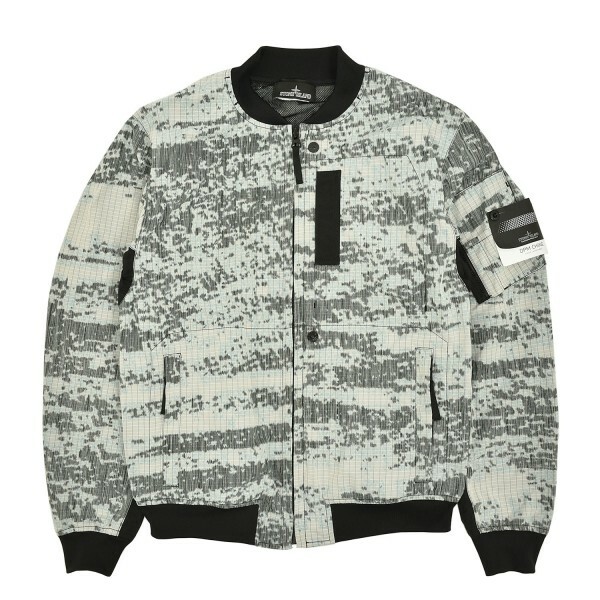 DPM Chine is a woven rip-stop fabric developed exclusively for Stone Island Shadow Project. It introduces a newly developed Shadow Project camouflage which is printed only on the warp axis of the weave for emphasized visual depth.